Do you like to make sweet treats at home during the holidays? I’m a guilty at making homemade treats and doing a lot of baking during the holiday’s. My Kitchen aid Mixer sure does get a lot of use during these few months and it’s always fun to try a new recipe each year from the Parks. I love to do some special treats while I am at home since most years we’re unable to head to the parks for the Holidays. Some of the treats that I have made and plan to make each year to continue our Disney addiction are listed below. What a great time of the year to make sure your kids get to be involved in the holiday baking too! Here is a list of the treats that we make each year and it will have a link that we got the recipes from as well. Main Street Bakery (Magic Kingdom) Cinnamon Rolls & Frosting: These were a huge hit in our household and we have to make them each year. Even though it might seem like they take forever to make…they are absolutely amazing! A must have on Christmas Morning in our household! Beach Club Resorts Gingerbread Cookies: These are a must in our household! We of course just do the Mickey Head shaped ones or we do regular gingerbread men instead but these hands down are amazing! I have a book that has the recipe but to find online this is the one to make! Rice Cream from Norway: This recipe is very similar to one that my Nana used to make except she would use cherries instead of strawberries. My Nana used to make Rice Cream or Rice Pudding year round but would only add the fruit during the holiday’s to make them prettier. Always a tradition to make at home year round! Sugar Cookies: We always make sugar cookies each year but this year we are planning on using a different recipe to try. So this year our sugar cookies will be lots of different shapes but my favorite shape is going to be Mickey Heads! Some extra DIY crafts that we do during the holiday season is we make, salt dough ornaments of course Disney themed, ornaments, and making crafts for gifts. I last made this glass block for my daughter’s room but it was super easy and fun to make! I just used my Silhouette Cameo 2 to cut the vinyl and added it to a glass block that I got from Hobby Lobby. This was super easy and yet fun to do. Some of our family members have already gotten a few of these homemade gifts from us and they better be prepared to get more this Christmas! 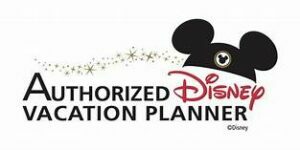 I am offering to all new clients and old clients who book with me from now until December 31, 2016 a 2017 Walt Disney World travel Package a $25 Disney Gift Card to use while you are on your vacation! I will send to you with your final documents! Please contact me Charlotte Strickland at charlotte@mainstreetmagicllc.com to get your trip booked! **Please note: to be eligible for this promotion you must book your trip and have paid the required $200 down payment by 12/31/16. You must book $1000 or greater that includes room and tickets and/or dining.